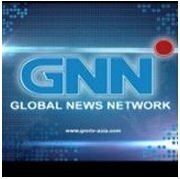 News TV Channel / GNN or Global News Network is a dedicated news and public affairs cable channel based in the Philippines. It broadcasts through Sky Cable, Destiny Cable and Cable Link nationwide and broadcast also in some parts of Asia through Global Satellite TV (GSAT), and online via Ustream.tv. Among the covered countries in Asia are: Japan, North Korea, South Korea, China, Mongolia, Taiwan, Vietnam, Brunei, Malaysia and Indonesia. Its studios are located at 6th floor, First Global Building #122 Gamboa St. cor. Salcedo St., Legaspi Village, Makati City.